Your backyard is the perfect place to relax and entertain guests. You’re missing out if you fail to take care of it each year. Think of all the possibilities if you simply put in a little effort to make it look nice. Now’s the time to dream about your options and put them into practice. You could be spending hours upon hours unwinding right behind your home, but instead, you’re letting the space go to waste. Don’t worry, it’s easy to turn it around quickly. Be open-minded about your choices and creative about making it all work. See four steps to an even better backyard. Pergolas are fantastic and will effortlessly increase the loveliness of your yard. They’re attractive and give your backyard a very classy look. They also help add additional privacy to your patio area. Drape curtains from the posts and pull them down if you want to be in complete privacy. Hang lights from the pergola for a beautiful look in the evening. Pergola’s come in all different colors and stains, so there’s one out there for everybody’s taste. Display plants in and around the area and place your patio furniture under the structure for a tasteful setup. What your backyard is missing is a hot tub. If you know nothing about hot tubs, don’t worry there’s a website you can go to at HotTubAdvice and they’ll help you. Hot tubs are relaxing, and they feel good on your muscles. It’s a sure way to feel instantly relaxed or get the party started. They have jets that will really invigorate your skin and allow you to have a great relaxation session after a hard day at work. You can also put a television outside and sit in it while you watch the big game. It’s important to upkeep your landscaping if you’re going to start using your backyard. Hire a service or do it yourself, either way, you should stay consistent with the maintenance. Add flowers and trees to make the backyard feel more alive. Use your landscaping to increase the amount of privacy you have if you’re surrounded by neighbors. Don’t forget about using mulch or rocks around the beds to make it look even more put together. Add a water element or small garden to personalize the space. You definitely need to have a grill in your backyard for grilling. It’ll come in handy all summer long, and you’ll get plenty of meals out of it. Use it when you have friends over or are grilling for a large party. Place it on your patio to enhance the overall look of your backyard. You’ll be using it all of the time to cook and entertain. Make sure you’re prepared with all of the grilling utensils and recipes you need to get you through the season. 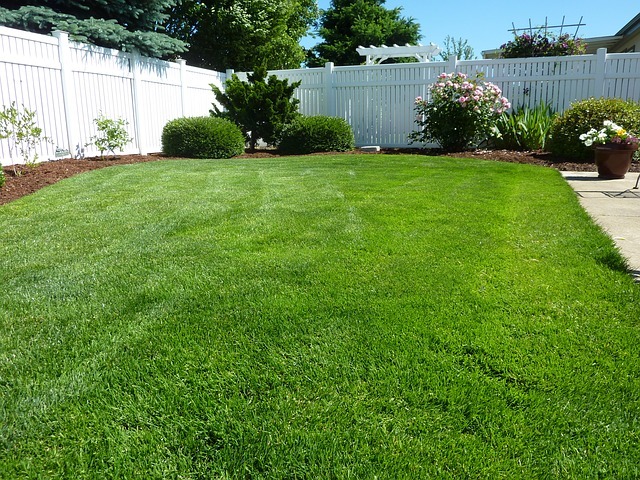 It’s time to start noticing your backyard and making it look presentable. Use these tips to implement upgrades that deliver. These are four steps to an even better backyard. great article, we all should follow this tips. Great article. Pergolas really are such a great addition to a backyard! After a long time of wanting one I finally just had one built. I used a company called DeckMaster and it turned out great.